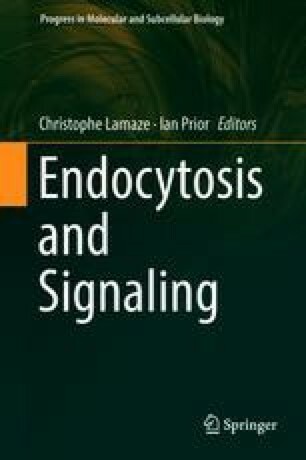 Endocytosis is a means for the cell to sample its environment for nutrients and regulate plasma membrane (PM) composition and area. Whereas the majority of internalized cargo is recycled back to the cell surface, select material is sent to the lysosome for degradation. Endosomes further play major roles in central cell activities as diverse as establishment of cell polarity and signaling, lysosomal storage and immunity. The complexity of endosomal functions is reflected by the extensive changes to endosome properties as they mature. The identity of individual endosomes is influenced by the presence of specific Rab GTPases and phosphoinositides (PIPs), which coordinate membrane traffic and facilitate endosomal functions. Motors and tethers direct the endosomes to the required locations and moderate fusion with other organelles. The maintenance of the elaborate endosomal network is supported by the ER and the trans-Golgi network (TGN), which promote the exchange of membrane components, provide enzymes, and assist with signaling. Additionally, V-ATPase is emerging as an underappreciated coordinator of endosome maturation and cell signaling. The inputs of the various mediators of endosome maturation are tightly regulated and coordinated to ensure appropriate maintenance and functioning of endosomes at each stage of the maturation process. Perturbations in endosome maturation are implicated in devastating diseases, such as neurodegeneration and cancer, and the endosome maturation processes are manipulated and exploited by intracellular pathogens to meet their own needs. A greater understanding of coordination and fine-tuning of endosome maturation will help us address various pathologies more effectively.